We’re delighted to announce that bookings are now open for the 2011 conference. Get your diaries out and mark the date. Better still, book up your tickets now! Have a look at the conference page here. We’ll be in Liverpool in the North of England at Hope University for the two and a half days of the 8th – 11th July. The conference is a perfect opportunity to meet with other Transitioners taking this challenging journey, to delve deeper into the areas that interest you most, and to gain new skills that will serve you and your initiative well over the coming years. This year’s conference aims to provide knowledge, tools and understanding to help us live well in uncertain times. We’ll all share our successes and challenges, hopes and fears, our questions and answers. We’re planning an innovative structure and processes that enable each of us to get better at operating in group environments – a crucial skill as our transition journeys move into an increasingly uncertain future. When you leave the conference, you’ll have new connections, insights and skills that will make both you and your transition initiative stronger for the times ahead. And just to make sure you didn’t miss that – we’re welcoming kids too this year. We finally got our act together and are welcoming children and young people with an exciting programme and plenty to do. If you haven’t been to a Transition conference yet, or you can’t remember last year’s (very unlikely! ), have a read of the 2010 conference blog which covered much of the action, watch some of the videos, or look at the photos, visioning exercise artworks, open space sessions and more on our conference archive site. There will be more information in further newsletters, but we wanted to let you know before the holidays so you can do some diary planning over the break. 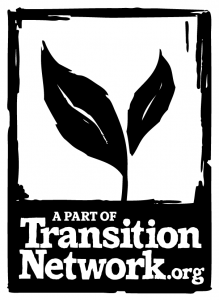 Transition Network: 43 Fore Street, Totnes, Devon, TQ9 5HN.